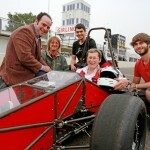 University of Brighton Vice Chancellor Professor Debra Humphris took to the wheel of a prototype racing car designed and built by a group of our engineering students as part of their degree programmes. And got to take the car out onto the track at Goodwood Motor Circuit, just down from the road from Brighton. 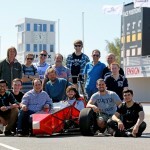 The final version of the car is expected to be entered into next year’s Formula Student contest, Europe’s most established educational motorsport competition, run by the Institution of Mechanical Engineers. Backed by industry and high-profile engineers such as our Patron Ross Brawn OBE, the competition aims to inspire and develop enterprising and innovative young engineers. 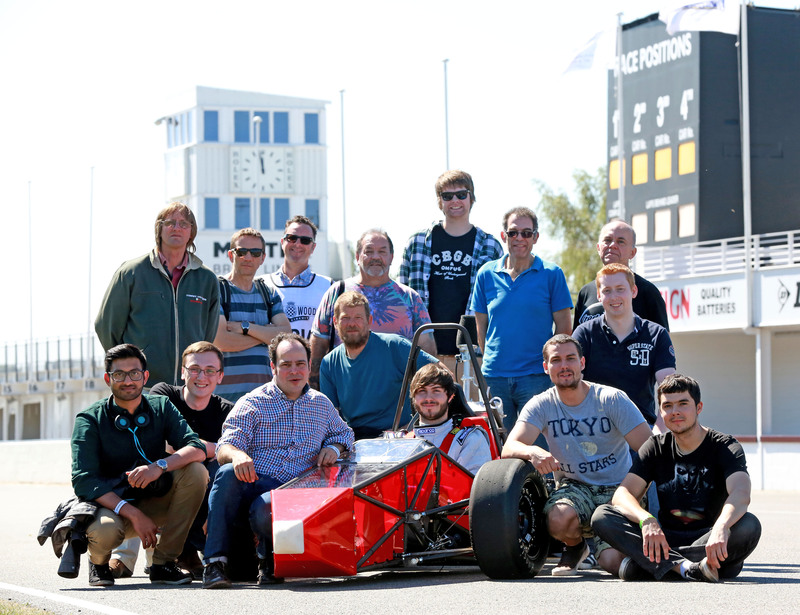 Universities from across the globe are challenged to design and build a single-seat racing car in order to compete in static and dynamic events, which demonstrate their understanding and test the performance of the vehicle. The car has been manufactured in-house using the university engineering lab’ facilities and a range of rapid prototyping techniques including CAD/CAM CNC machining, 3D printing, laser cutting, plasma cutting, and, as Dr Coren put it, “blood sweat and gears, with students working on the project evenings and weekends”. The car is designed for short circuit autocross events and is currently geared to for maximum acceleration and a top speed of 70 mph.